Benjamin Britz advises clients on all aspects of corporate governance including government investigations, shareholder class action and derivative litigation, and corporate compliance matters. 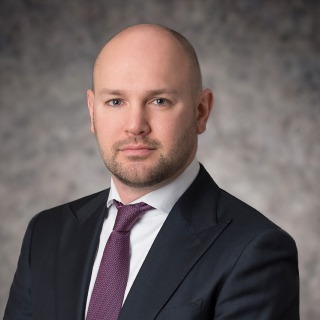 Benjamin has represented clients before all manner of domestic and international enforcement agencies, including the Department of Justice, Securities and Exchange Commission, UK Serious Fraud Office and the enforcement offices of the World Bank, Asian Development Bank and African Development Bank, among others. His practice particularly focuses on anti-corruption compliance, securities enforcement, and accounting and procurement fraud matters. He has performed internal investigations and due diligence exercises around the globe and across an array of different industries. Benjamin has particular experience in conducting corporate compliance monitorships and compliance program evaluations, and he has assisted American, European, African and Asian clients in designing, administering and maintaining anti-corruption, integrity compliance, anti-money laundering and corporate governance programs. Benjamin has also successfully defended numerous clients in multilateral development bank (MDB) sanctions proceedings such as where corruption, fraud or other misconduct in MDB-financed projects is suspected. He also regularly represents companies and individuals in shareholder class-action and derivative litigations. Prior to joining Hughes Hubbard, Benjamin clerked on the United States District Court for the Northern District of Ohio for Chief Judge James G. Carr. Conducted an anti-corruption internal investigation for an oil field service company with worldwide operations, with investigative focus on Algeria and implementation of an enhanced worldwide compliance program.